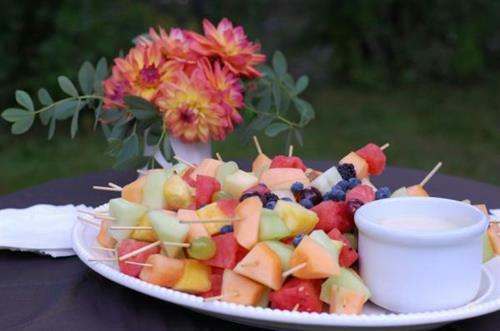 A cafe & caterer specializing in the freshest prepared foods. 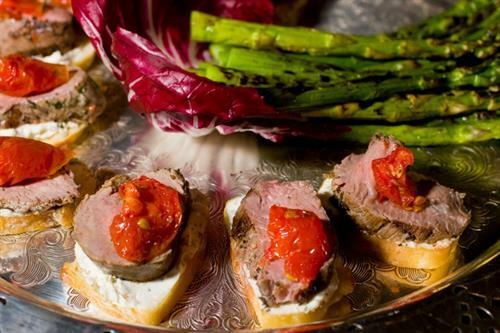 Whether it's dinner for one or lunch for 100, we pride ourselves on creating delicious food for friends, families and business people on the go. 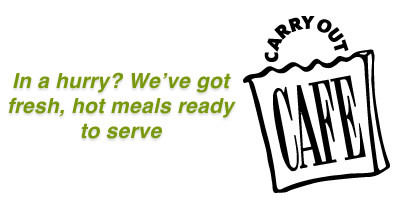 Wraps, salads, hot meals, soups, & packaged meals can be enjoyed at the cafe or taken home to feed the family. 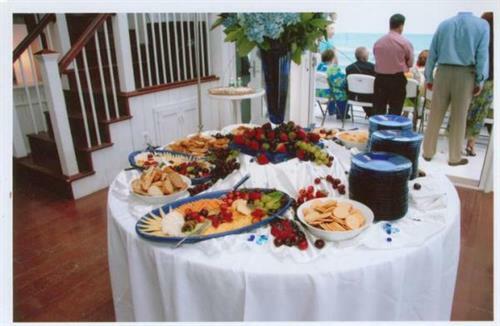 We offer boutique catering for weddings, business meetings, receptions & more. Why cook when you can Carry Out? 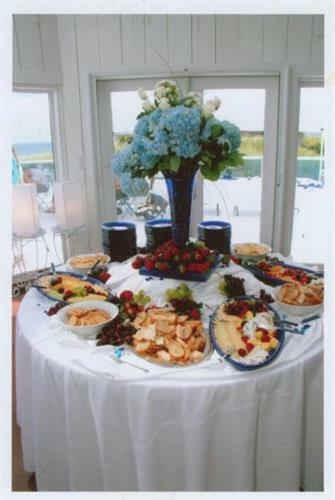 Order Bistro Bags for your next Corporate Event! 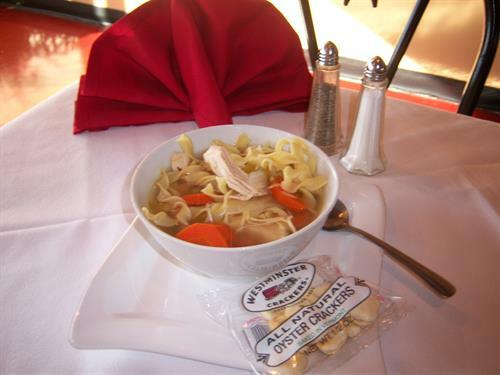 Our popular soups, chili and chowders are always available at the Cafe.